“So the menu seems to be quite brief”, my astute friend, Marwan, observed as he went through the carte du joir. 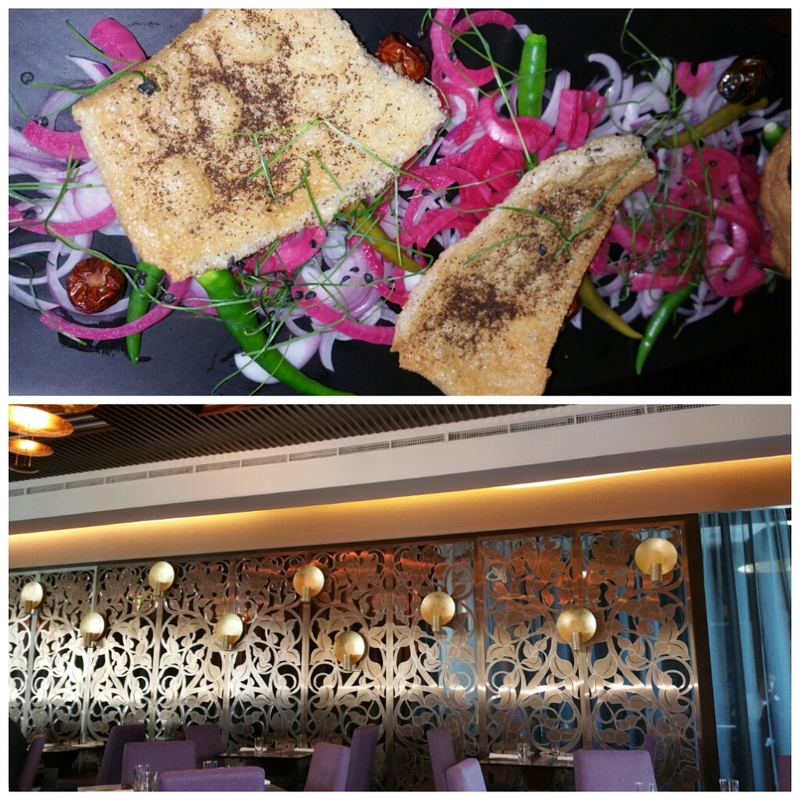 We were dining in “Junoon Dubai” a modern Indian eatery in the super classy Shangri-la Hotel. 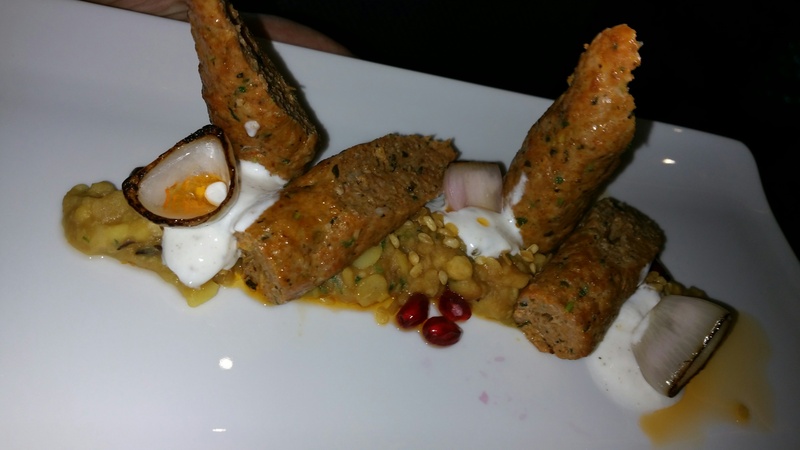 There has been a lot of buzz since the Michelin starred New York restaurant opened its second “Junoon”in UAE. I was longing to experience their signature dishes and hoped to meet the handsome celebrity Chef Vikas Khanna, host of Masterchef India. While he was not around, the friendly, attentive and well informed staff welcomed us. The ambience was strictly ok with an open kitchen and ancient woodwork but the amazing food and service more than made up for it. It was peculiar to notice there was no name of the restaurant mentioned anywhere. I hope they are working on it as it seemed odd to us. 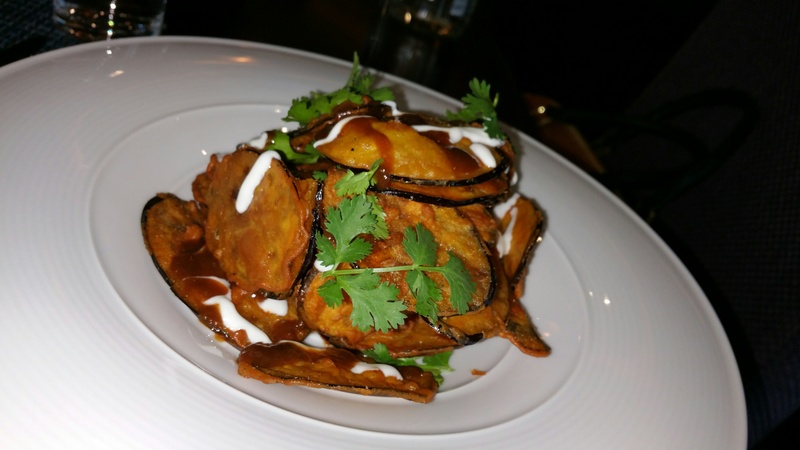 We began our culinary journey with an Eggplant Chaat served with Tamarind chutney & Mushroom Galouti. 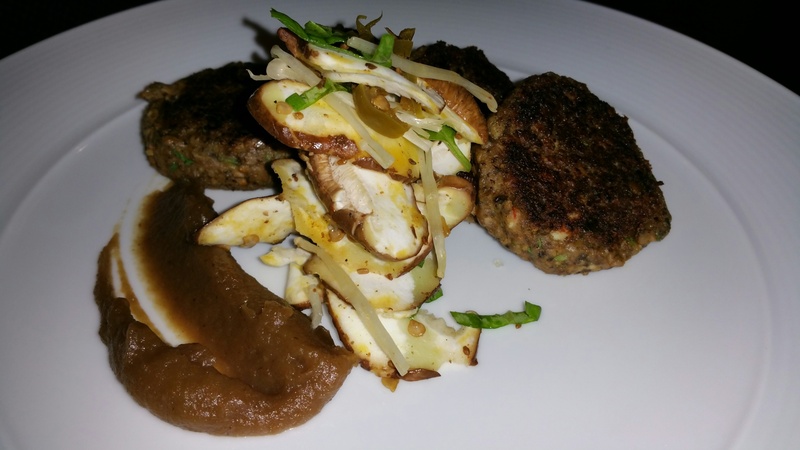 Both the starters won our approval as my carnivore friend loved the fork tender and succulent Goat seekh kabab and Murgh Mizra Hasnu. 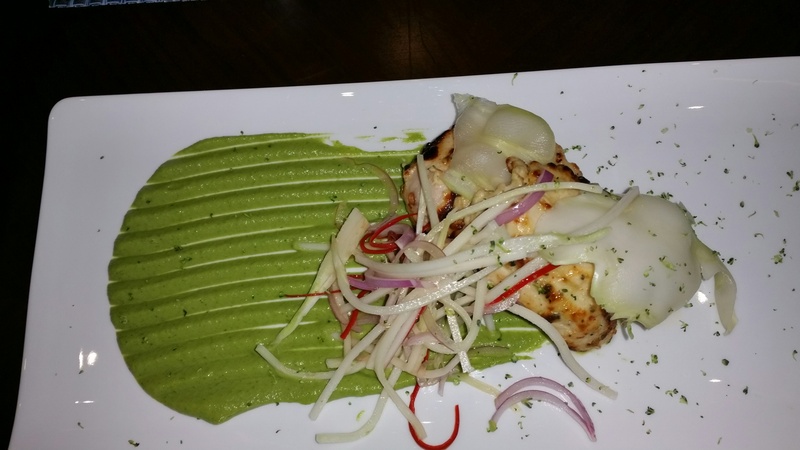 We moved our attention to the main course. While I ordered for Paneer Do Pyaaza, my friend opted for Murgh Lababdar” – tomato onion gravy with chicken tikka and completely relished it with the Junoon Spice Naan. The combination along with the occasional sip of lentil soup (another winner) worked beautifully together. We were too full to try other dishes (another reason for a second trip soon!) and ended the treat with the Kulfi platter-Curry Leaf, Cardamom and Gauva. To be honest I only enjoyed Cardamom flavor while Marwan did give curry leaf another chance by taking a few bites. I had a feeling we missed out on the better deserts but dint have the space for more. 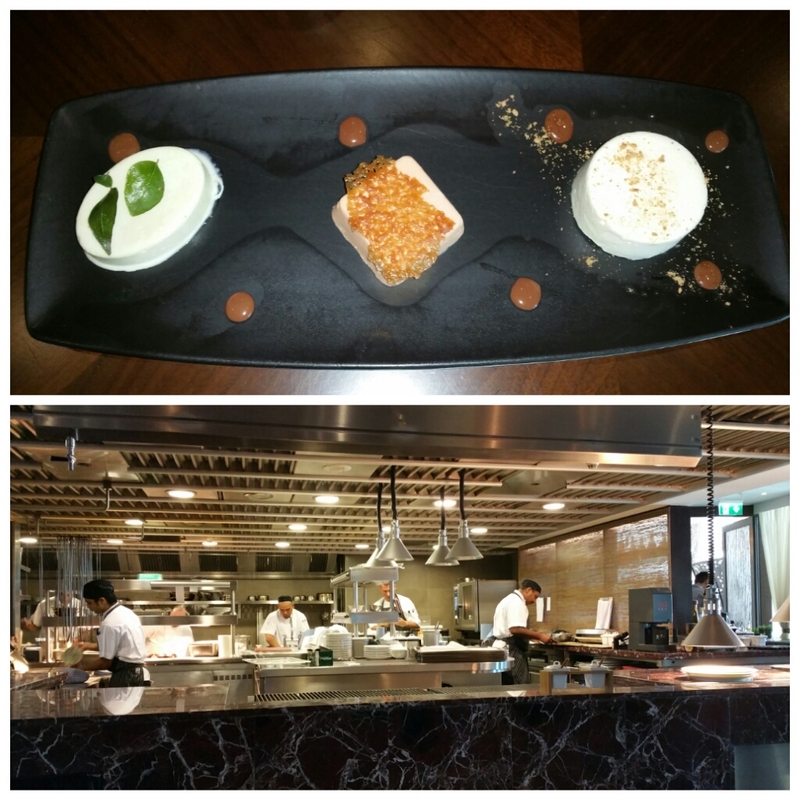 Overall it was a wonderful experience and I am sure in time it will be at the top of the the list of fine dining restaurants.